The past few months have been a blessing to me as I grow in the Lord and trust more and more on His grace to be sufficient in my everyday life. Having known a touch of His grace, the Lord is now asking me to be a vessel of that grace for others. A few months ago a dear friend, and dare I say a mother figure, Christine Burkholder, introduced me to a missions origination called Trans World Radio. By the leading of the Lord, I put in an application to Trans World Radio and, by the grace if God, was accepted into the organization for a six-month term in South Africa, starting in January 2009. What is Trans World Radio? 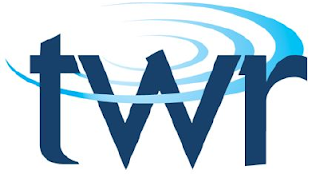 Trans World Radio is a world-wide radio organization whose goal it is to proclaim the gospel of salvation to as many people as possible, instruct believers in biblical doctrine and daily Christ-like living, and model the message through their corporate and cooperative relationships. They have a heart to see all come to Christ, and teach the good news to others. What will you be doing specifically? My job will include keeping four studios in working order, maintaining equipment as well as manuals, and recording anything that may be needed. This is a blessing to me as it is the same job I was trained for in Arizona, and had the pleasure of doing in Nashville. Secondly, I am in need of financial support. The projected expenses are as follows: $1,150 a month for housing, food, utilities, local travel, and taxes, plus travel expenses to and from South Africa. So, we are looking around $8,000-$9,000 for the entire time in South Africa. Now, this seems like a lot to come up with in just a few weeks, but God is able. May I ask you to prayerfully consider becoming a part of my team? Enclosed is a response card for your convenience. Thank you for taking the time to read this letter and to celebrate with me how the Lord is working. I will be in touch with updates if you indicate that you want to be involved.